9.00 hrs. - 18.00 hrs. 9.00 hrs. - 13.00 hrs. 2. From front of Soi Thonglor to our office is 2.9kms. 3. Our Shop house is exactly opposite entrance of Camillian Hospital. 4. 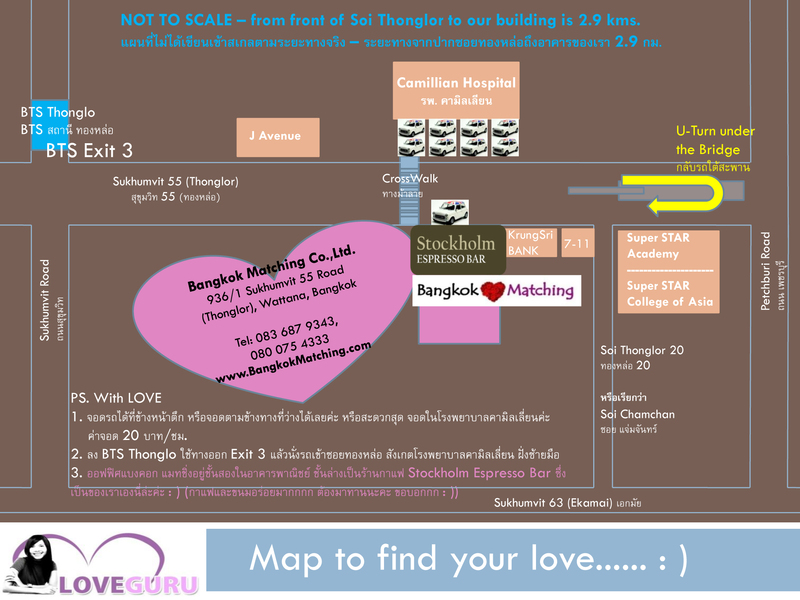 BangkokMatching is on the second floor above Stockholm Espresso Bar. You can park on the street where available. But the best way is to park at Camillian Hospital. They charge 20 Baht/hour for parking.